DB Schenker enables and supports the ongoing expansion of U.S.-German trade by providing a full spectrum of logistics support between the two countries. As the world’s fourth largest exporter, Germany accounts for more than one-fifth of the European Union’s GDP. The U.S.’ largest European trading partner (and the sixth largest market for U.S. exports), Germany operates a “social market” economy that largely follows free-market principles (but with a considerable degree of government regulation and wide-ranging social welfare programs), according to Export.gov. The volume of trade, number of consumers, and Germany’s geographic location at the center of a 28-member EU make the country a prime target for U.S. firms that want to build their European and worldwide expansion strategies. On track to grow by 1.8% this year, the German economy continues to expand at or above what many analysts have predicted. 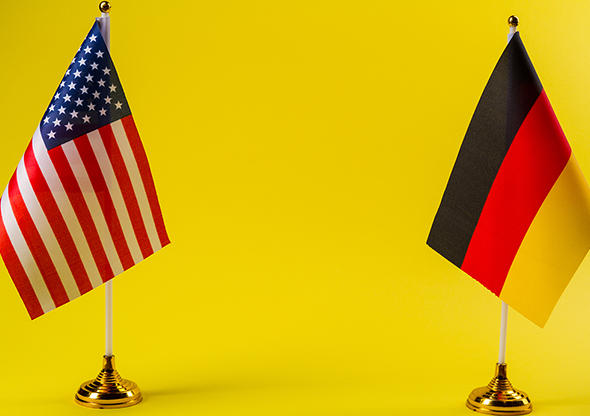 For U.S. companies, the German market is attractive across numerous sectors and remains an important element of any comprehensive export strategy to Europe. Leading sectors for U.S. exports include agriculture, aerospace/defense/security, advanced manufacturing, and healthcare. For decades, DB Schenker has been supporting the ongoing expansion of U.S.-German trade by providing a full spectrum of logistics support between the two countries. In many cases, that logistics support goes well beyond the basics. For example, Lavinia Haid, a key account manager for Schenker, Inc., says she works closely with shippers who are unfamiliar with the many cultural differences between the two countries. Many times, companies assume that business is transacted just like it is in their home countries, never realizing that subtle nuances between the cultures can significantly impact trading activities. Even though most EU countries no longer have “borders” between them, there are still many differences that exist among them. This fact is often lost on U.S. companies that are accustomed to conducting cross-state trade without much friction. Put simply, even though Poland and Hungary look like they’re close to Germany on a map—and therefore make good, additional trade targets—doing business in the former can be much different than selling into the latter. “There are still many cultural varieties in the EU and a lot of individual logistics and transportation infrastructures that have to be factored in,” says Haid. As the third largest export economy in the world, Germany exported $1.45 trillion in goods in 2017 (and imported $1.18 trillion). The country’s top exports are cars, vehicle parts, medicine, planes, helicopters, and spacecraft. Its top imports are cars, vehicle parts, medicine, computers, and crude petroleum. Germany’s top export destinations are the U.S., France, and the UK, while its top import origins are China, the Netherlands, France, and the U.S. Ever since it began building its U.S. operations, DB Schenker has been working closely with companies on both side of the Atlantic and helping them facilitate trade and logistics with one another. “We’ve always been very good at managing capacity with our carriers, which can be a major headache for companies that are involved with transatlantic trade,” Haid explains. In 2017, for example, the air freight market experienced a historic capacity shortage that was so severe that space of any kind was at a premium – this is when choosing an experienced logistics partner will be the differentiator to success. Thanks to the relationships it had with carriers, and its long-standing reputation in the transatlantic transportation market, DB Schenker was able to help shippers secure the capacity they needed — to outperform the market even during the “peak” shipping seasons. In the U.S., DB Schenker has four dedicated route development managers (RDMs) who are tasked with identifying, investigating, developing, and evaluating new business development opportunities within defined routes (both inbound and outbound of the U.S.) for shippers. Calling the RDM program “an asset for every customer,” Haid says the dedicated team works tirelessly to facilitate trade between countries. In many cases, that means helping shippers overcome key obstacles (i.e., the cultural nuances between specific countries) and becoming true “experts” within their respective geographies. Haid, who is originally from Germany, recently worked with a German customer who wanted to establish an office in the U.S. “To take this customer further we helped the customer connect with economic developers, the chambers of commerce, and other institutions that helped them get established,” says Haid. Working with the customer, Haid also looked carefully at where its current customers were located, where its future customers would be situated, what ports the company wanted to work through, and what obstacles it was dealing with from the logistics standpoint. Using that information, she helped the customer select the best possible location for its U.S. presence.